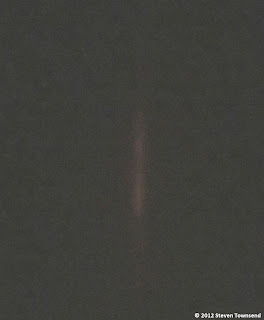 Also below, is another sighting report on the vertical light with photos and eye witness filmed. I took two pictures, but they are really grainy as my camera is not made for night time. The two pictures are © 2012 Steven Townsend. Having witnessed these back December 2005. I ofetn wondered the origin these pillars of light. They are amazing to see that go straight up in the night sky. This is very interesting. My family and I experienced this exact phenomenon tonight Jan 13, 2013 in Spokane, Washington. We were at a loss as to what the cause could be. We initially thought they were search lights or contrails from passing aircraft. But due to color and the straightness of the beams, the ice column explanation makes perfect sense. I am in Lafitte, Louisiana. 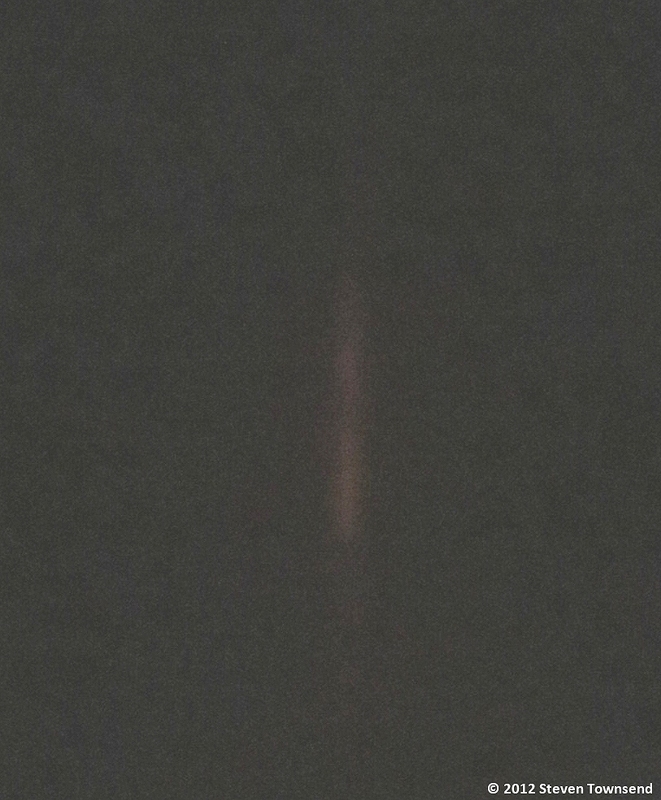 I witnessed this light last night (February 13, 2013). Between 12:00am-1:00am. Thank you for giving a clear explanation with an abundance of information to support it. I LOVE LOOKING UP!